"A Day Made Better" winner for Flagstaff. Patty Dickson, Manager of the Flagstaff Office Max presented a surprised delighted Mrs. Short with the award at a school wide assembly on Tuesday, October 6, 2009. Mrs. Short received classroom supplies and resources worth over $1,000. 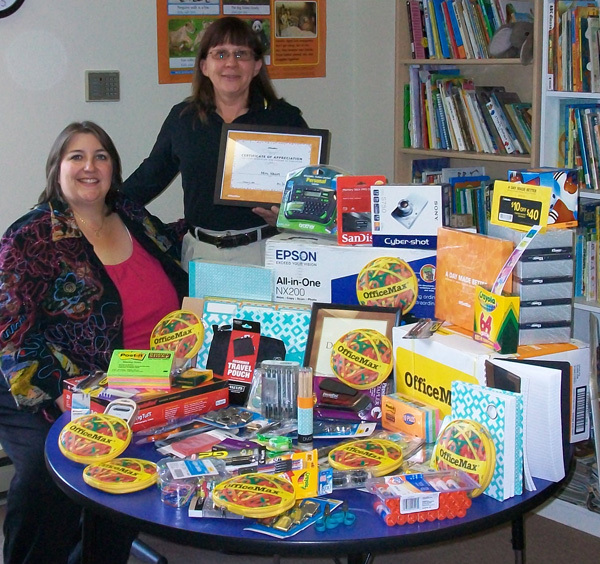 Office Max joined with Adopt-A-Classroom to create "A Day Made Better". This is a national one day event that awards over 1,100 teachers and brings awareness to help end teacher funded classrooms.